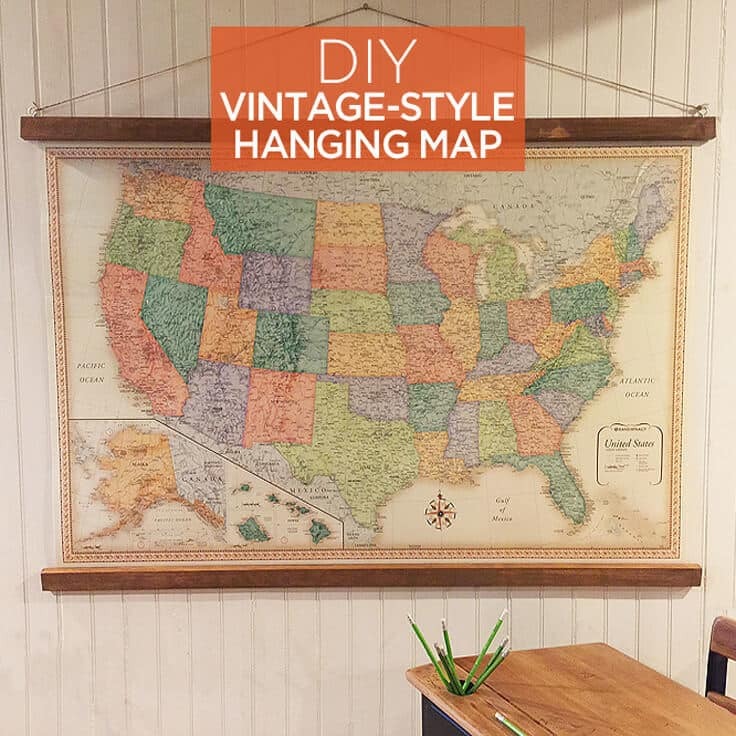 Hi everyone – It’s Lori from Greco Design Company and I’m here today to show you how to make a vintage-style hanging map. Maps are a fun solution for adding art to your walls because they’re graphic, colorful and can have a lot of sentimental value. Plus they’re educational!! 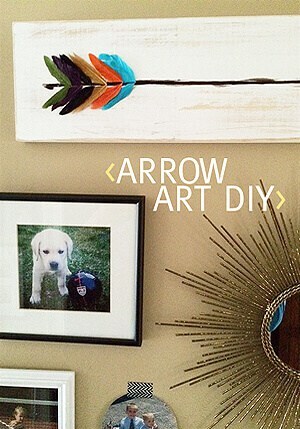 This project is inexpensive to make but it will add a big impact to your home. Maps look great in a home office, a kids play area, bedrooms, or in an entryway as a place to document travel experiences. This one will hang in a teenagers’ play area that I’m in the process of redesigning for friends. I think they’ll love it! 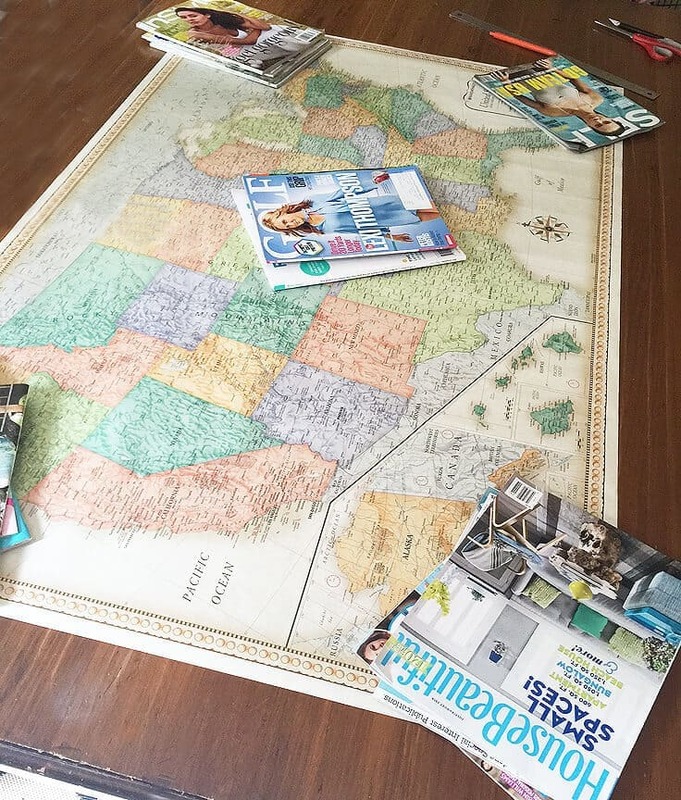 An oversized map – I bought my map at a Staples store for $8.99. Or you could order it online here from All Posters. 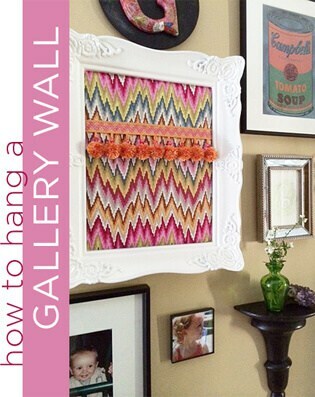 I love the large size – 50″ x 32″ and it’s colorful without being too childish. 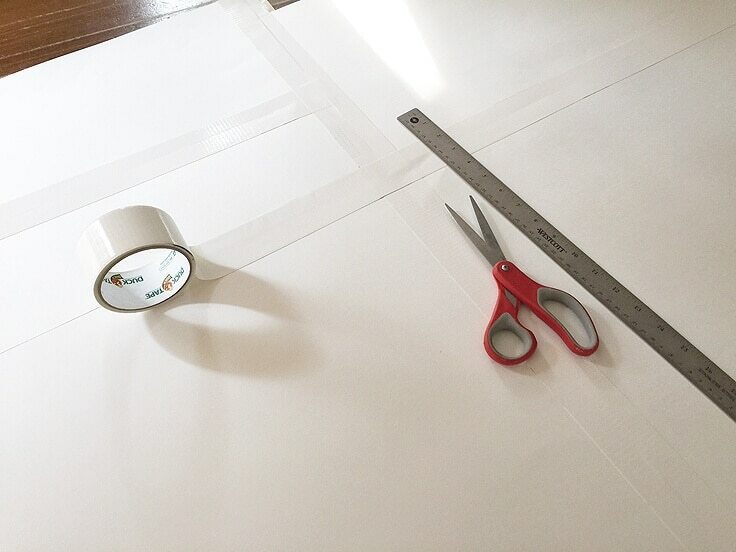 White poster board, enough pieces to use as backing. I used 3 pieces of 20″ x 30″ poster board. 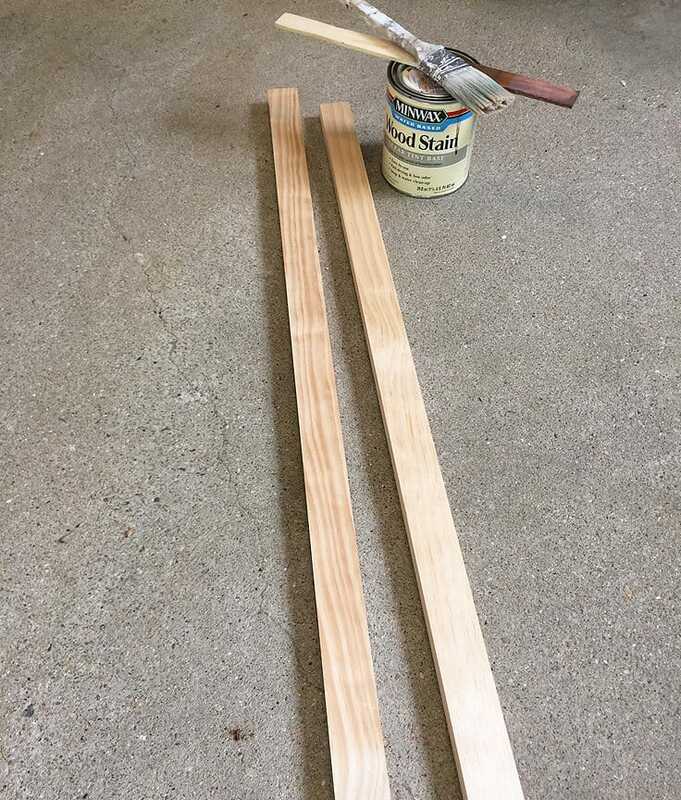 Two wood pieces, 1″ x 2″, and the length of each should be 3″ longer than the length of your map – I had our home improvement store cut the pieces down for me. First, since I bought this map rolled, I needed to unroll it and flatten it out a bit. I just placed it on my dining room table and put heavy magazines and books on top. I thought it would take a while for the paper to lay flat but it flattened out pretty easily. Next, I added a backing to the map to make it more sturdy and durable. I found the best option was to buy 3 sheets of white poster board, tape them together with white duct tape so they were large enough to fit the map. I liked the poster board because it wasn’t too thick and the map still looks like it’s on paper. Once the poster board was taped together, I used a spray adhesive to attach the map to the poster boards. Then I trimmed off any excess poster board, leaving a little extra at the top and bottom for attaching the wood pieces. Next, stain the pieces of wood your desired color. I used a pecan stain I had leftover from a previous project. Let them dry completely. 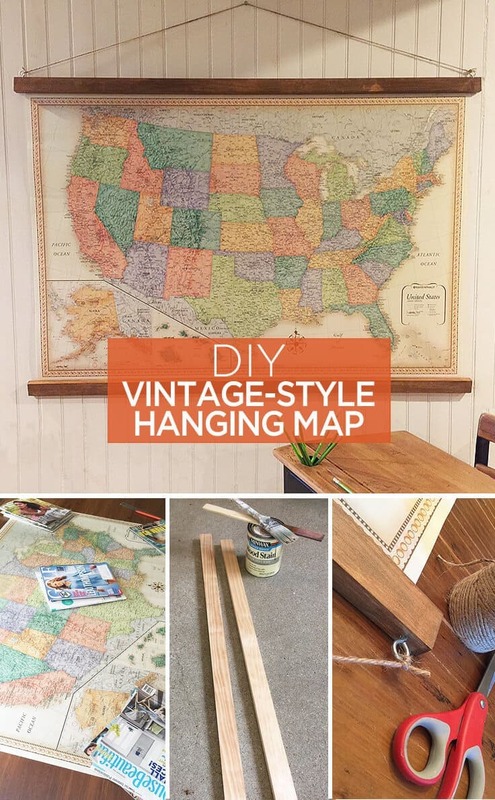 Using your hot glue, attach the wood pieces to the map – one on the top and one on the bottom. 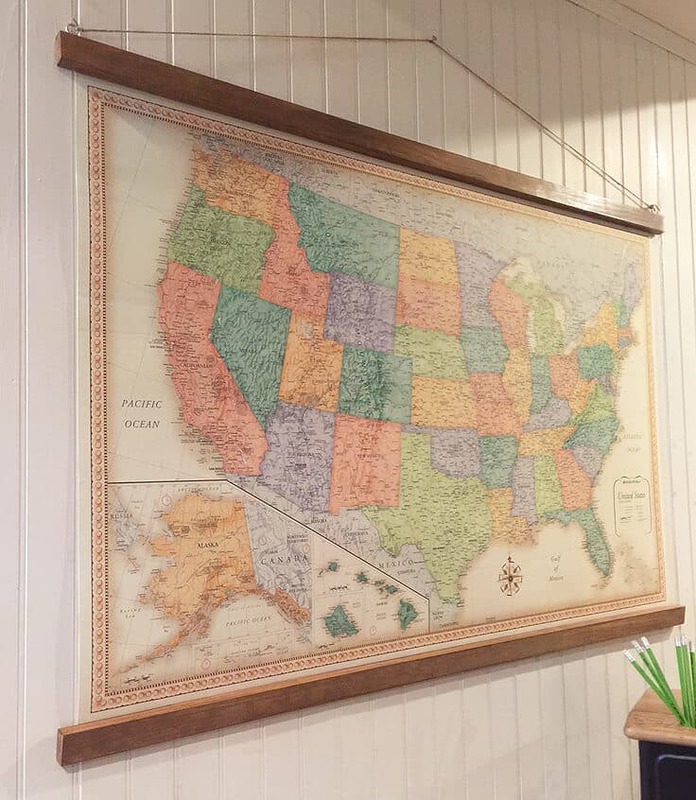 I loved the border on my map and wanted it to show so I kept the wood just off the border design. I also left a little over 1″ of the wood longer on each edge of the map. 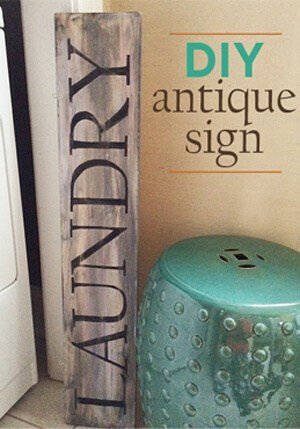 This adds to the vintage hanging style. Now you’ll need to attach the eye bolts into the top of the map for hanging – one on each end. 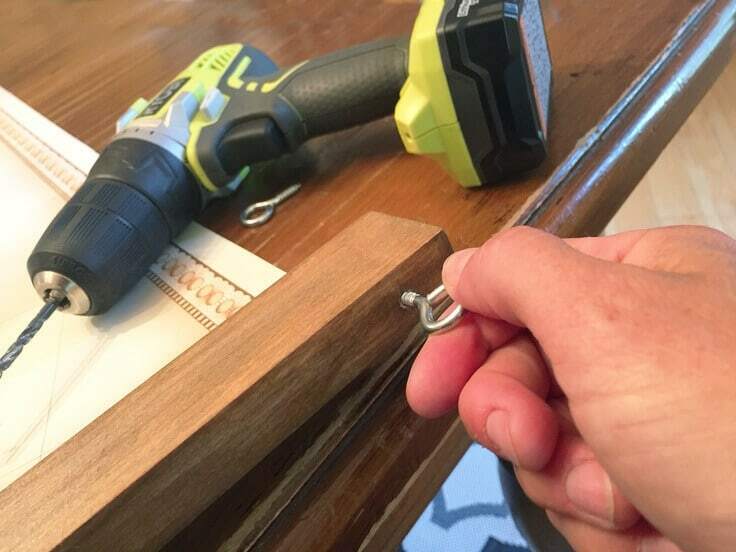 I used my drill to start a hole and then screwed the eye bolts each in by hand. I used pliers towards the end to secure tightly. 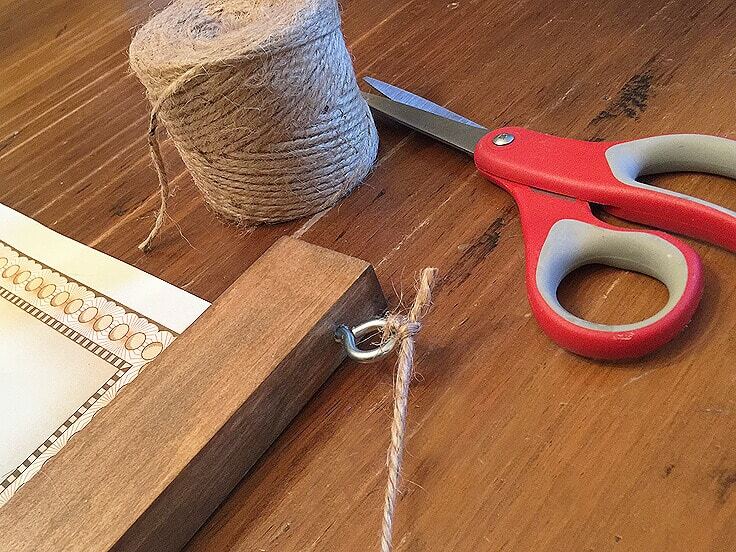 Tie your twine into each eyelet and hang! I love the fact that this piece has such a strong presence in the room. And it cost under $15 – bonus! 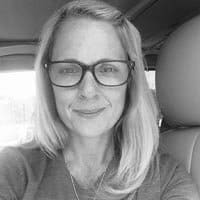 Looking for more ideas on what you can do with maps? 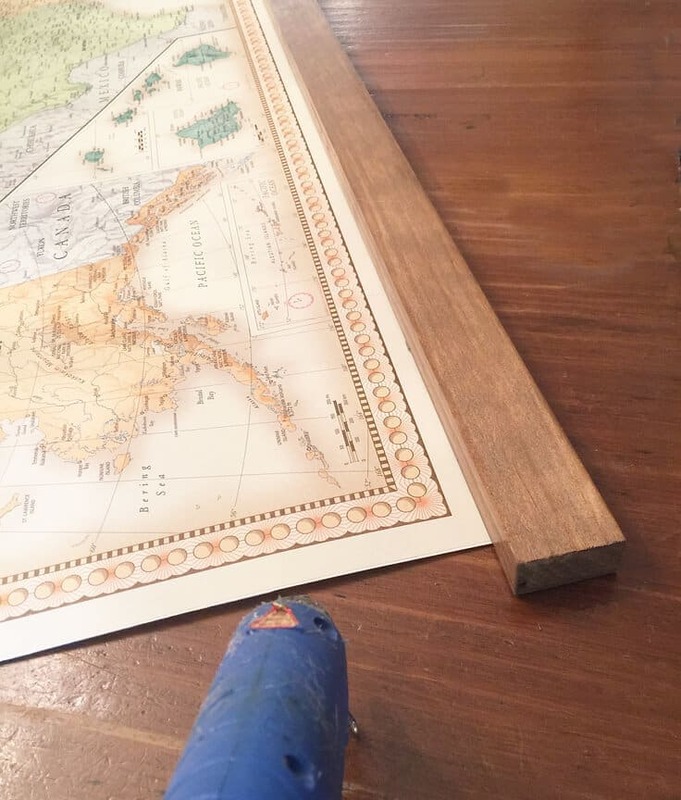 Check out this tutorial on how to add a map to an old tray! 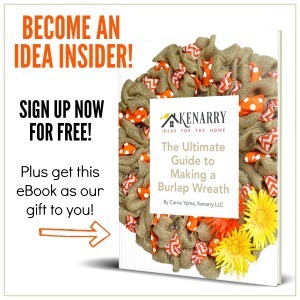 It’s a great way to repurpose something that you were going to throw away.